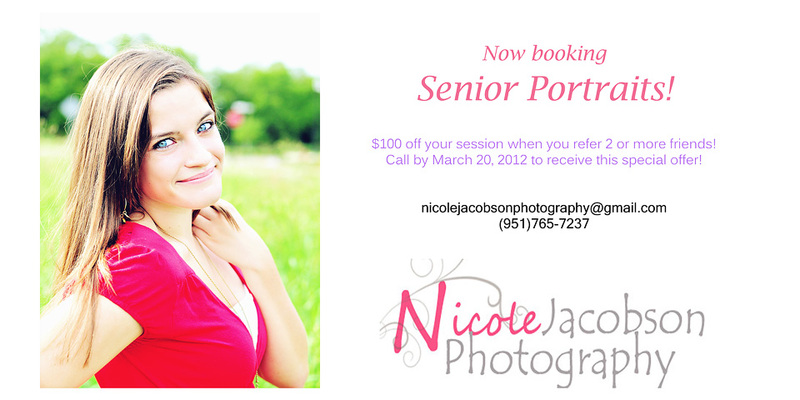 For a limited time, when you refer two (2) or more friends to take their Senior portraits with me, YOU will recieve $100 off of your session! Hurry! Hurry! This deal won't last long!